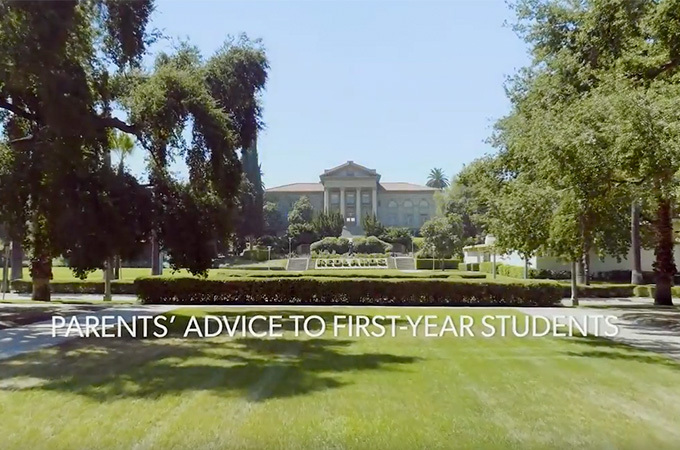 Parents offer heart-felt advice—and lots of hugs—to first-year University of Redlands students on move-in day last year. My advice to you is to make good choices and to be yourself, and have fun. You know your mom and I love you. 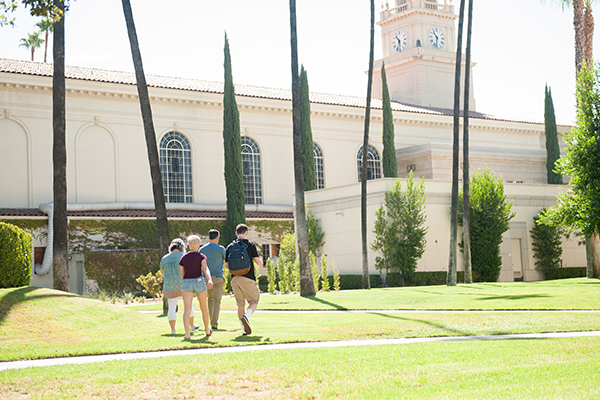 We want you to have a fabulous four years here. Enjoy yourself. Don’t be an idiot, and nothing good happens after midnight. So, my advice to my son Justin is: Not a lot of good things happen after midnight, but a lot of good stuff happens between 6 a.m. and 8 a.m.
Study hard, but have fun, and don’t forget to call your mom. David, best of luck to you. This is a great opportunity. It’s a time to have lots of fun, but at the same time, an opportunity to further your education. Have fun, keep your goals in mind, and be safe. And you come home every break! My bit of academic advice is to study right after class. To call your parents, and then don’t forget: You can call your parents! Keep your room clean and make your bed every day. I’ll miss you, and be good and study hard. Remember: Have fun, but do so responsibly. Don’t forget: Call me. Take advantage of everything that you can learn from here. I gave you the tools; now you can use [them]. Study hard, make great friends, and stay focused. Don’t forget what your goals are. Stay out of trouble. I know you will, because you’re a good girl. And if you need anything, we’re only five minutes down the road, so don’t hesitate to call. Call us every five minutes! Take advantage of the next four years. Work hard and absolutely play hard, and enjoy every moment.